ISTANBUL, TURKEY, SEPTEMBER 24, 2016: People walking on Istiklal street in Istanbul at night. 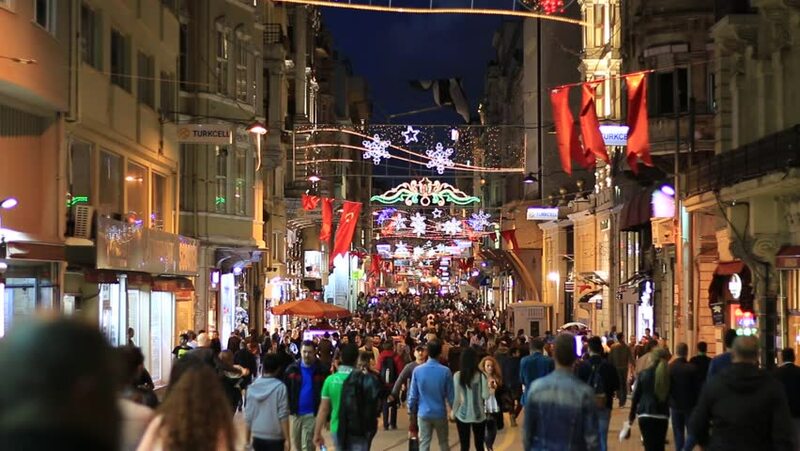 It's the most popular touristic and shopping street in Istanbul, Turkey. 4k00:40HONG KONG - CIRCA APRIL 2018 : Scenery of SAI YEUNG CHOI STREET at MONG KOK area. Place is famous for shopping and street performance. hd00:25TOKYO - CIRCA MARCH 2010: Pedestrian traffic in Tokyo , circa March 2010.
hd00:05NEW YORK - AUGUST 7, 2014: Statue of Liberty performer in Times Square in New York City. Times Square is a busy intersection and major commercial neighborhood in Midtown Manhattan, NYC, USA.